New Mobile Hub Location Announced! 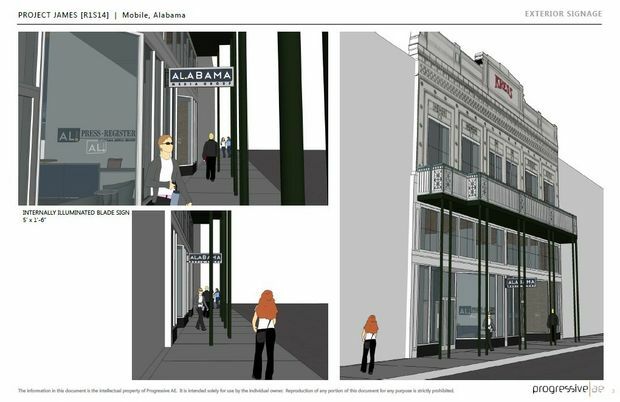 Alabama Media Group unveiled preliminary designs Thursday, Feb. 13, 2014, for the Mobile hub slated to relocate from its existing Water Street location to the Kress building in the heart of downtown Mobile by the close of summer 2014. /wp-content/uploads/2015/10/amglogo.png 0 0 Erin Chambers /wp-content/uploads/2015/10/amglogo.png Erin Chambers2014-02-13 16:39:382016-01-19 23:20:47New Mobile Hub Location Announced! Two number-one seed playoff teams are set to battle on the gridiron this weekend in pro football’s biggest game. But what am I looking forward to? The commercials. Starting with frogs “Bud,” “Weis,” and “Er” in 1995, commercials from the big game have become one of the highlights of the event for me, and I’m not alone. According to USA Today, 78% of Americans are looking forward to watching those commercial breaks this year. Did I read that right? Consumers actually tuning in for commercials? “Looking forward” to them specifically… this is HUGE! In a world of DVR, Hulu, Roku and On Demand, what other time during the year do viewers actually postpone bathroom and snack intermissions to watch advertisements? I, for one, don’t want to miss a super miracle, like this legendary siting of Joe Montana. Can ads be this great all the time? The much-anticipated super ads are just plain better than your typical 30-second spot. Better creatively, better story lines, better effort and originality. They are designed to entertain and engage. What better way to garner attention for your brand? Last year’s heart-rending moment with the Budweiser Clydesdale horses left me captivated in adoration at a brotherly bond, while Taco Bell’s group of rebellious, spirited retirees left me laughing with appreciation at their “live mas” philosophy. And what topped my list? The Dorito’s goat, by a landslide. This contest winner holds the number-one spot for highest recall index of any other ad that aired during last year’s game, according to industry research. No celebrity endorsements, no complicated staging, props or effects. Hats off to the amateur filmmakers who created a short and simple story, striking the perfect balance between absurdist humor and product promotion. Results – viral video and social engagement. Nailed it! This year, savvy marketers are leveraging the social media community to broaden exposure and increase engagement. Tapping into free YouTube space, advertisers are building excitement with teaser ads, (yes, commercials that preview commercials), and are interacting with viewers. In a great example, H&M is asking for votes to decide between two David Beckham commercials, and are taking it a step further. With live shopping technology, viewers can purchase items with an easy click on products. I am disappointed that only once a year, we as viewers, are privy to this kind of rare and refreshing marketing effort. So often, media marketing seems more of a lost art form than an opportunity for inspiration. 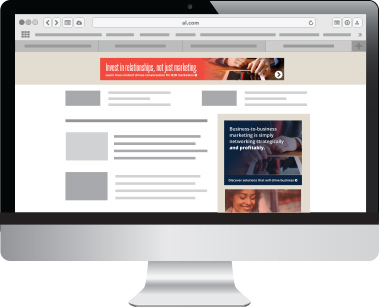 Let’s build great advertising all year. Experts say viewership numbers are projected at an all-time high and set to break the 2012 record of 111.3 million. With an audience this big, I can understand the thought, time and effort that goes into creating these ads. If the same attention was paid to campaigns throughout the year, would we see the same engagement? The only other avenue where this is happening is newspaper advertising. Consumers actively seek our ads. 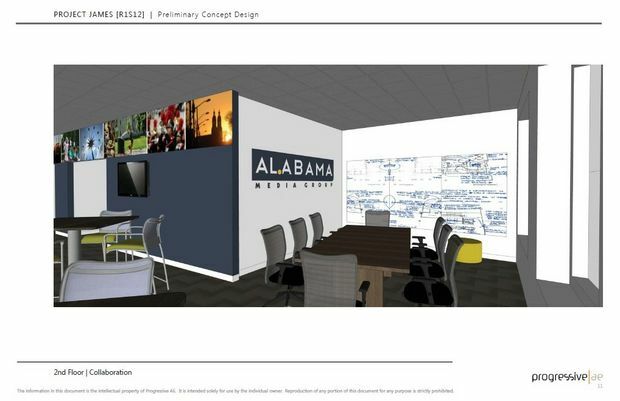 At Alabama Media Group, readers pay to see the advertisements. Sure, newspaper circulation has declined, but those buying and reading newspapers are actively engaged and looking for ads. And, newspapers are reported to have one of the highest influential impacts on shopping habits, ranking higher than TV, radio or social networks for credibility, engagement and advertising efficacy. So this weekend, between beer runs and game-deciding plays, take note of what speaks to you, on an emotional or comic level, and channel that creative inspiration into your next promotional campaign. Because, while the Seahawk’s Legion of Boom battles it out against the Broncos “5-10 Club,” Coke and Pepsi will be invading your living room, looking to score big with the most talked about play of the game. The stage is set and expectations are high. This year will prove to be groundbreaking in creativity and absolute ridiculousness to win viewers over. I, for one, wouldn’t want it any other way. https://www.alabamamediagroup.com/wp-content/uploads/2015/11/shutterstock_43506862-Gadsden.jpg 2592 3888 Kristin Johnson /wp-content/uploads/2015/10/amglogo.png Kristin Johnson2014-01-31 14:00:382014-01-31 14:00:38What am I really looking forward to this weekend? The Super Ads of course. Now that the new year is roaring ahead, I wanted to look back at 2013 and the campaigns that have stayed with me. Since I don’t watch TV much these days, (Hulu is the last bastion for my network experience, sports aside), there are fewer avenues for advertisers to pitch me their wares. While the quality of ads on Hulu are better than traditional TV thanks to precise targeting and the opportunity for my feedback (does this ad apply to you? ), I’m afraid to report it really is just more of the same: Flashy mobile devices idolized with quickly edited shots and dubstep soundtrack, scripted representations of what my friends hanging out looks like, etc. So if you are creating fast, throwaway ideas, I am returning the favor by dispatching them back into the airways of noise between the Simpsons and Family Guy. Then, hidden in the sea of safe, lukewarm advertising, was this spot from Verizon.